What is Creativity, How Do I Get Better At It? 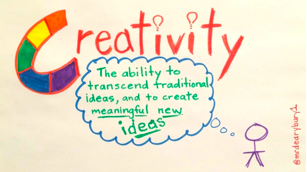 Creativity, according to Webster’s, is the ability to transcend traditional ideas and to create meaningful new ideas. I doodled this little graphic about 2 years ago to help me remember exactly what the word means. Every association I had with the word was connected to art, and I never thought any differently until I started reading what some “creatives” had to say on the subject. Turns out, Webster was right! It really isn’t anything to do with art, the creating of it, or the ability to color just right in the lines. 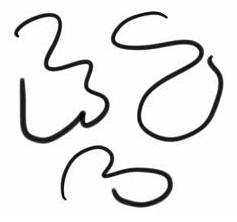 In fact, it has everything to do with coloring and squiggling all outside the proverbial lines of life and coming up with a new idea, thought, view, or creation. The change in my thinking didn’t come easy. I have done a lot of reading, more reading, then I read some more. There are lots of books on the subject and still quite a few of them are on my must read list. 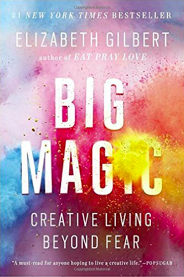 One book in particular, “Big Magic,” by Elizabeth Gilbert was revolutionary for me. Her words seemed to open my eyes, ears, and heart to help me see, hear, and feel the true meaning of being creative. My biggest take away… Creativity takes courage. Courage to try new things, courage to attempt something you’ve never done. Courage to ignore the fears in your head and go after something in a nontraditional way in hopes of finding a new path. I have used this book and all of the other readings to really guide the work that I do as a director of professional development. I am constantly looking for new and engaging ways for teachers, students, and parents to bring more creativity into their classrooms and homes. In my last blog post, I shared a list of ways that you are your kids could be creative this summer. I received numerous emails and tweets from many of you who are working through the list. Please keep those coming. This week, I would like to provide you with some ways to build your own creativity. 1. For 5 minutes, look at this ruler and make a list of all the things you can do with it other than measure and draw a straight line. 2. 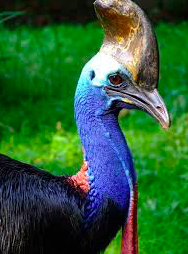 Study this picture of a unique bird. Make a list of as many questions as you can think of about what you see. There is no wrong question. The more you think of the better! 3. Look at these objects. Take a few minutes to think of ways that these three could be connected. 4. This guy is laughing… What about? Talk with a friend and see if you can come up with 20 ideas of what has got his giggle box flipped. 5. What is this? I have no idea… Help me come up with a few things it might be. 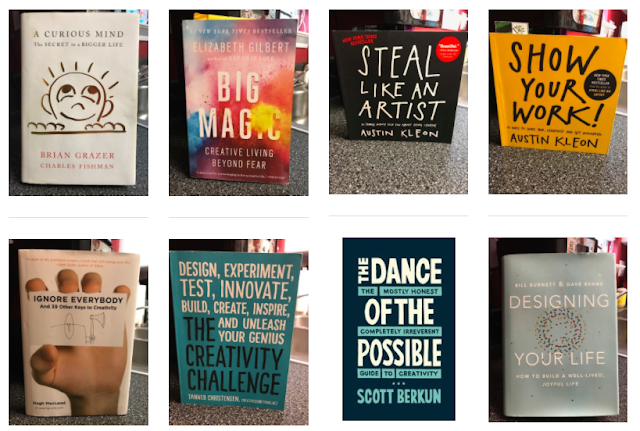 Hopefully after you try a few of these ideas, your minds will be on a new path of learning and those new meaningful ideas that are the crux of creativity will begin to make their way into every part of your life. If you'd like to read a little more than just my blog on the subject, try these books. But, be warned, your mind will be forever changed! Visit a local library. Find the best children's book you can. Read it out loud and invite your kids and the kids around you to help act it out as you read. I am sure the librarians would LOVE it! Take a walk through the mall, down main street, or through Target, and together with your kids, create fictitious stories about the people you pass. Pretend they are pirates, royalty, or your favorite cartoon characters. Make sure to be nice. Remember that golden rule! While at the grocery store, pretend that the food is really alive and ask your kids these questions. What are they secretly talking about? What do they after the store closes? Which food is in charge? What do they do for fun? Visit the woods near your house and create your own outdoor game using materials from nature. Be sure not to damage anything, but rocks and twigs from the ground can bring out the most creative ideas. I have always said that a good teacher could teach anything using a rock and a twig! Stop by a nursing home for a history lesson. There are so many amazing people who are right down the street with incredible stories from the past. Your kid would learn so much and it would surely make someone's day that you stopped by for a visit. Out by a pool? Gather items from around the house and learn about buoyancy. I never will forget the time my mom showed me that a watermelon would float! Driving down the road? Write a list of words you can make from the letters on the license plates you pass. Keep a journal in the car and add to the list every time you go. Even if the trip is short, it can add a lot of fun to the ride. If you don't recycle, start a recycling bin. Your trash can really send a creative brain into overload. Ask your kids to build something at the end of the week with all that's collected. With a phone or tablet, ask your kids to take pics of everything that interests them in one day. The next day, have them write down their memories of those things and have a discussion about them. Know what a Rube Goldberg Machine is? If not, click here then make your own. Watch this video with your kids about a little guy who created a cardboard arcade. Make your own. Grocery stores have tons of old boxes. Film it. Post it to Youtube. Become a star!! As a family, make get well cards and take them to strangers at the hospital. Who doesn't like a thoughtful card? Play dress up. It doesn't need to be fancy costumes. Use your imagination and have fun!